We are currently committing 10% of our profits to the American Heart Association with the launch of our new Johmping design. We have many products and many designs. We have added a sample of our designs here and you can see others over at our store! If there is something you would like and can't find, our ohm office is ready to help you create the product you seek. Just give us a shout and we will be happy to help out! 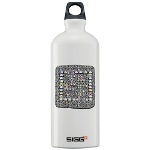 We are ohmazed with the siggnificant about waste this product can help reduce! 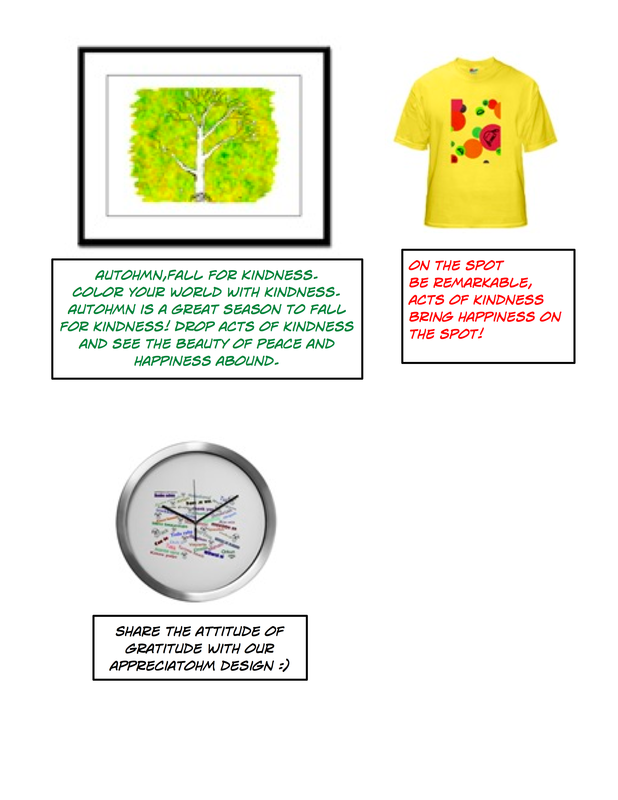 We raise money to keep this site up and running and to donate to charities by selling merchandise decorated with our designs. Our store is located on cafe press. Over the past two years, we have received many positive comments about the level of quality and customer service people have experienced at our store. Cafe press offers so many products we just can't list them all here. We hope that you will check out the store sometime and see what it has to offer. 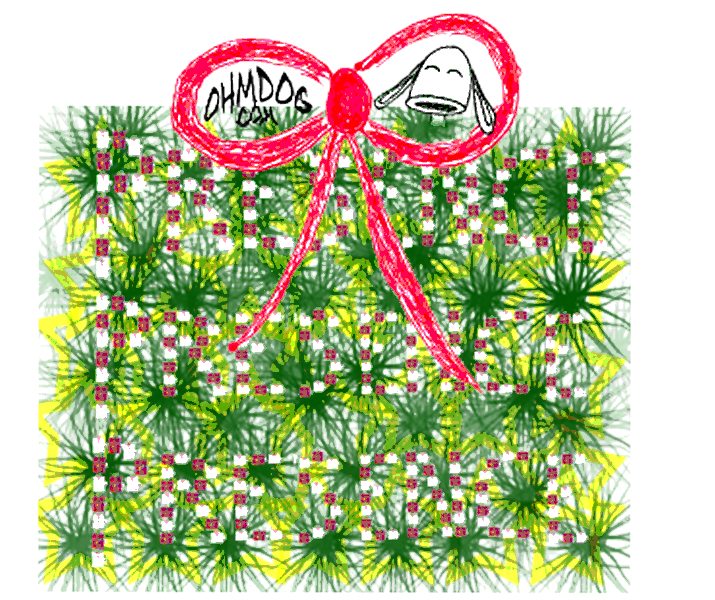 We hope you enjoy your ohm shopping experience! Join the new years resolutiohm! 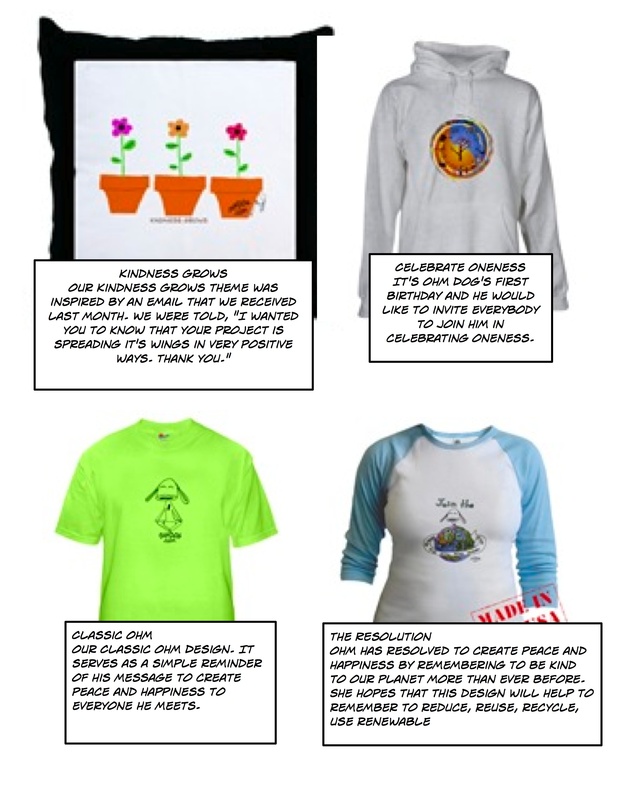 We are committed to making an additional donation from the sales of this design to benefit children with celiac disease. The Classic Ohm design reminds us to create peace and happiness with acts of kindness. It's just that simple! 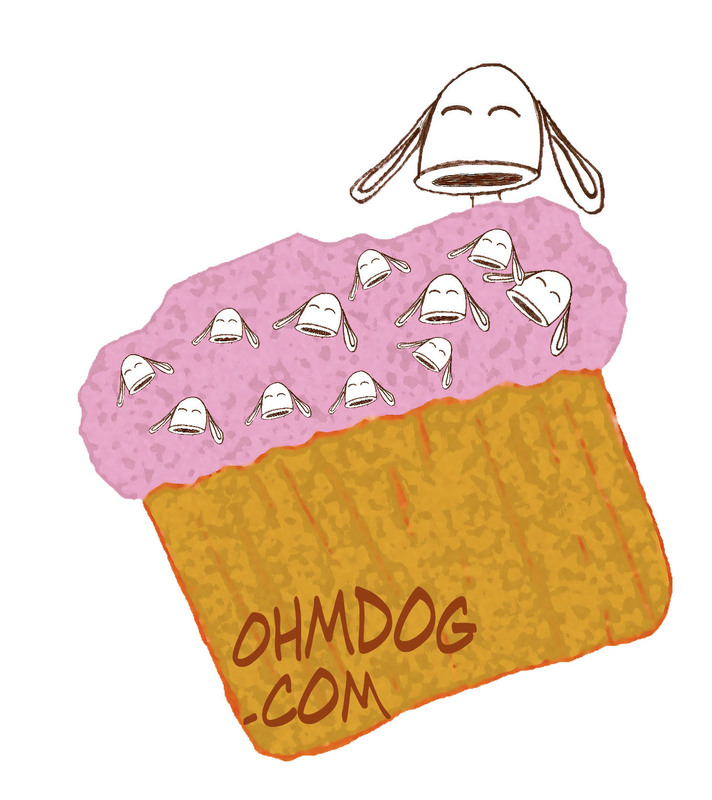 Ohm is practicing symohmtry in this design. 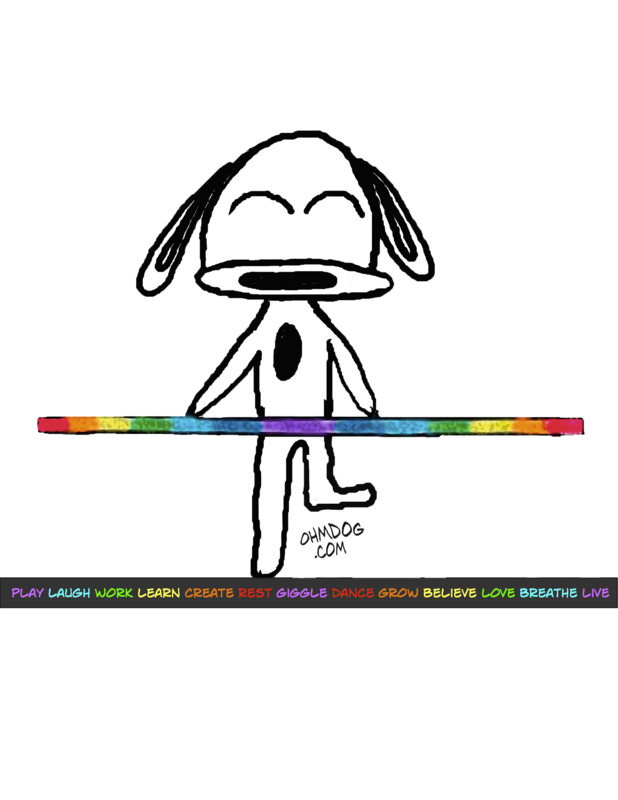 Symohmtry is the art of balancing responsibility and play with kindness resulting in peace and happiness. Bulk pricing is available upon request. 10% of our profits are donated to St.Jude Children's Research Hospital and Children's Hospital in Boston! Thank you for your support. 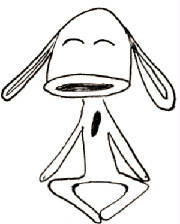 Ohm On! 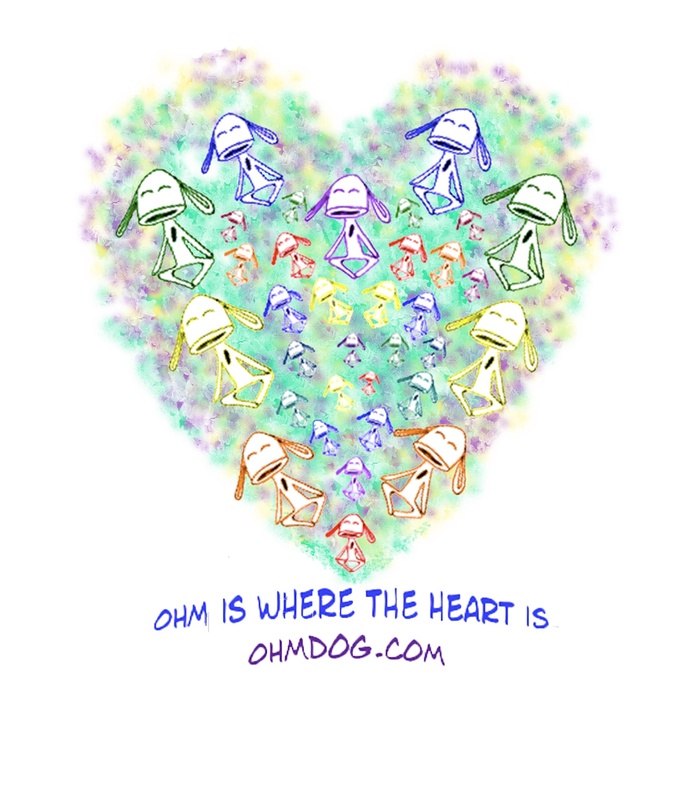 We have heard it over and over again, Ohm is where the heart is and we couldn't agree more. Ohming comes straight from the kind hearted! 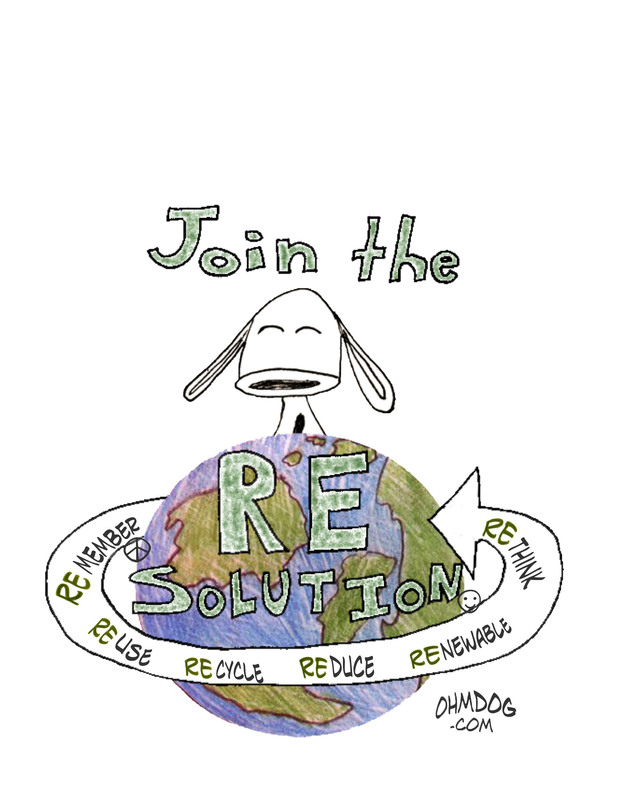 The REsolution is our kindness to our planet design. 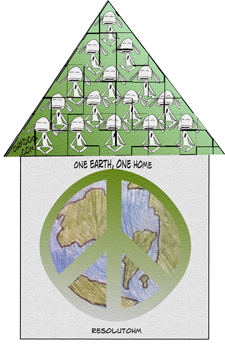 A great way to create peace and happiness is to use our planets resources with care. When we do, we have shared an act of kindness with all creatures on our planet who rely on these resources both today and in generations to come. 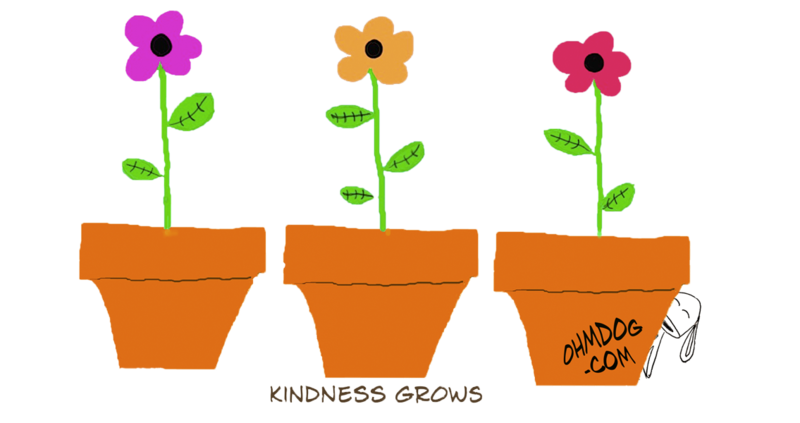 Our Kindness Grows theme was inspired by an email that we received . We were told, "I wanted you to know that your project is spreading it's wings in very positive ways. Thank you." Pigeon did not want any designs with wings other than his own, so we sprang into action using our new design tool, the Bamboo by Wacom, and came up with our kindness garden. We hope that you enjoy this month's design and theme! 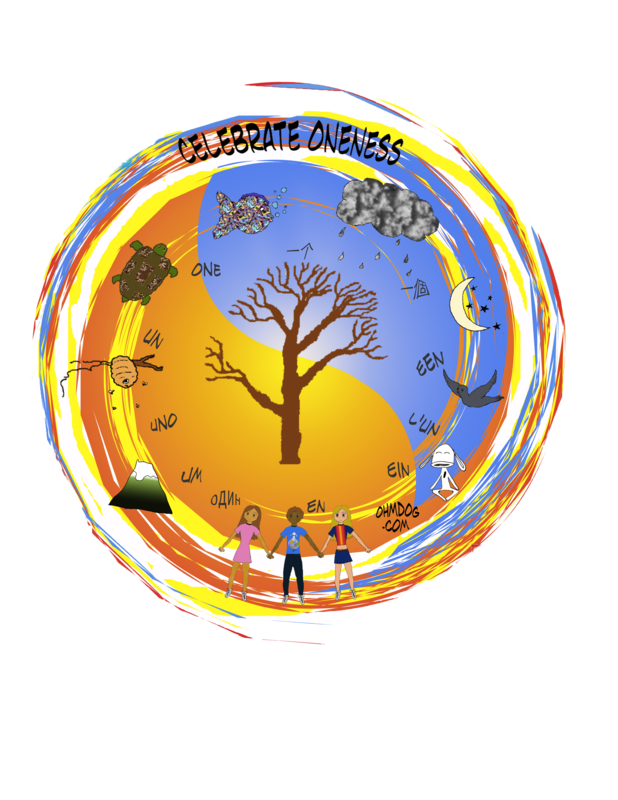 CELEBRATE ONENESS - It was Ohm's first birthday and he thought it would be a perfect time to celebrate oneness. By seeing how all things are connected, kindness in our lives becomes as common as candles on the cake. Ohm thinks the party should be for everyone and everything, each and every day and we hope you will join him in celebrating his birthday and oneness! Click on any of the photos on this page to jump over to our Cafe Press Store.